Established in 1991 General Millwork Supply, Inc. was established by owners, Tom and Wendy Duran and is located in the heart of San Marcos, California. The company was started during tough economic times at their one location and has weathered three recessionary periods this past one being the toughest. They are "Celebrating 28 Years in Business" and attribute their success by planning and staying inside the lines on the guiding principles of the company's core values. By staying the course on a solid business plan through reinvesting in the company and focusing on the health of the company's relationships with suppliers and its professional customers has enabled them to thrive. 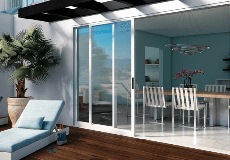 They are a full-service window and door dealer serving the County of San Diego and its surrounding areas with over 50 years of experience in the building industry. Family owned and operated, the company specializes in selling quality nationally known brand-name windows and doors to homeowners, building contractors, designers and architects. They are proud to have one of the largest showrooms in San Diego County, displaying windows, doors, skylights, mouldings, door hardware and much more to match any architectural style or budget plan. General Millwork Supply offers many fine lines of quality wood, wood-clad, fiberglass, vinyl and aluminum windows, entry doors, interior doors, french doors, wardrobe doors and skylights. They also offer decorative mouldings, greenhouse windows, structural porch columns & railing systems and other specialty products. Whether you are remodeling or building a new home, we can help! Exceptional Service & Quality Guaranteed! "Our Commitment to Excellence is Second to None!" Serving all San Diego County since 1991 including: San Marcos, Oceanside, Vista, Carlsbad, La Costa, Encinitas, Fallbrook, Rancho Santa Fe, La Jolla, Del Mar, Leucadia, Poway, Rancho Bernardo, Escondido, Valley Center, Temecula and Bonsall.